In hot-humid climates, HVAC equipment is typically located in vented, unconditioned attics, with associated energy penalties; one method of moving the ductwork inside the conditioned space is to insulate at the roof deck. However, market penetration of this method has been slow, due to the expense of insulating at the roof line, typically using polyurethane spray foam. 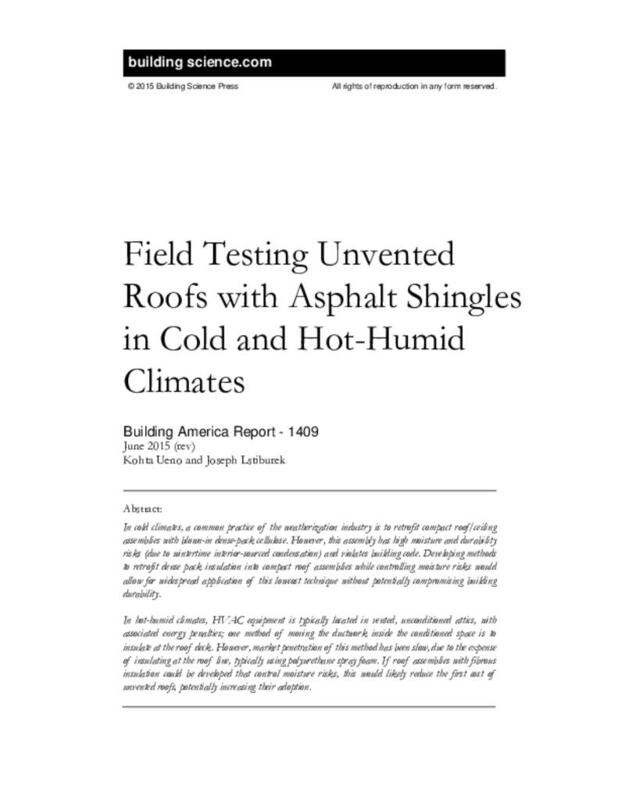 If roof assemblies with fibrous insulation could be developed that control moisture risks, this would likely reduce the first cost of unvented roofs, potentially increasing their adoption.